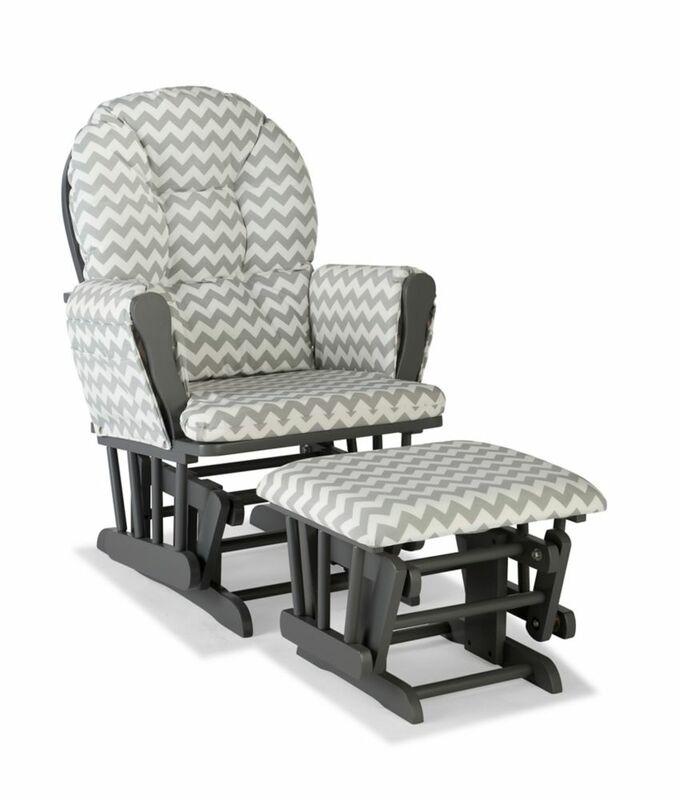 Hoop Glider/Ottoman - Grey /Chevron Grey The StorkcraftHoop Glider and Ottomanmakes feeding time easy for mother and child while adding a touch of charm to the room. The soft polyester gives a comfortable feel while being durable. With enclosed metal ball-bearings, this wooden glider allows for incredibly smooth rocking. Solid wood construction gives these pieces a sturdy feel that youll appreciate far beyond the baby years. With a range of finishes and cushion colors to choose from, the Storkcraft Hoop Glider and Ottomaneasy to coordinate with any nursery.